A week of camp life is worth six months of teaching in the meeting room. 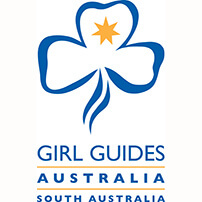 Girl Guides South Australia operates three campsites. 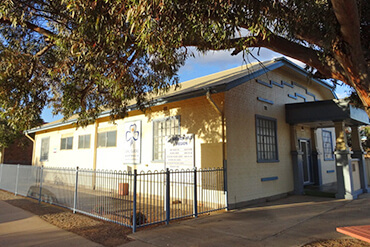 Douglas Scrub located in McLaren Vale, GTS Dolphin located in Largs North and Tuckerway at Port Vincent. 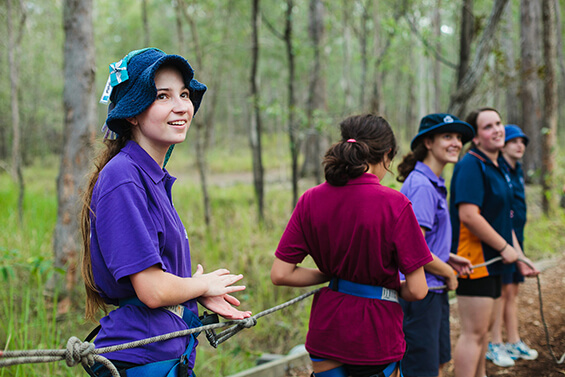 All GGSA adventure camps are available to Girl Guides, school groups and other approved groups. Please refer to the individual campsites below for more information. Camp Fees are updated Annually. Tuckerway is located in Port Vincent just a 2 hour drive from Adelaide. It offers good swimming, boating, fishing, walking trails and various sporting activities. 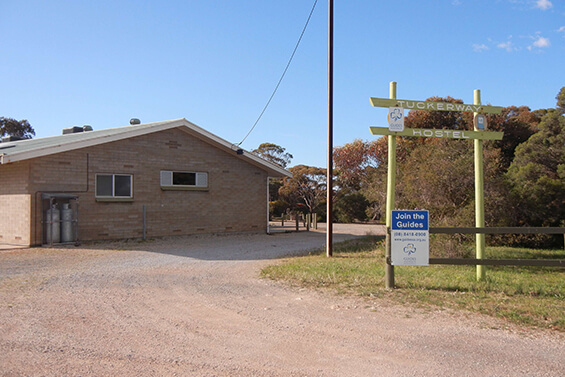 It is an ideal spot from which to explore Southern Yorke Peninsula with its National Parks and rugged coastal scenery. 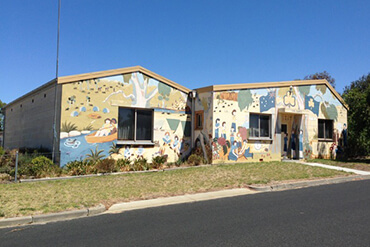 GTS Dolphin is Girl Guides South Australia’s water activities centre located at Snowden’s Beach on the Port River. 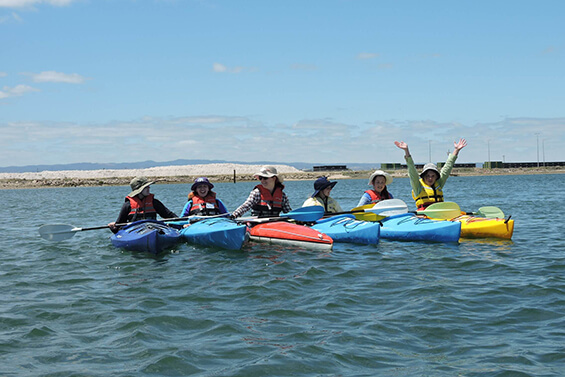 Near the historic town of Port Adelaide it is an ideal spot offering swimming, fishing, boating activities and if you’re lucky the Port River dolphins to wish you good morning! ADVENTURES SOUTH OF ADELAIDE27 hectares of camping and outdoor fun! 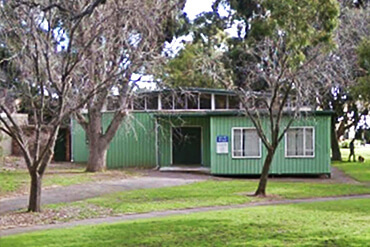 Douglas Scrub is a 27 hectare camping and outdoor facility within an hour of Adelaide. There is a variety of indoor and outdoor accommodation. 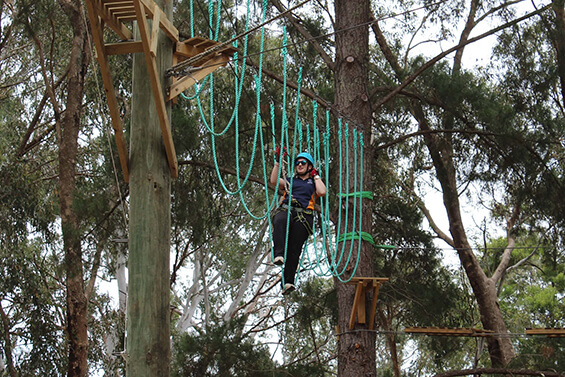 It provides space to explore and a wide range of outdoor activities. Douglas Scrub has something to offer every type of camper. Click the map pins for address and contact details.